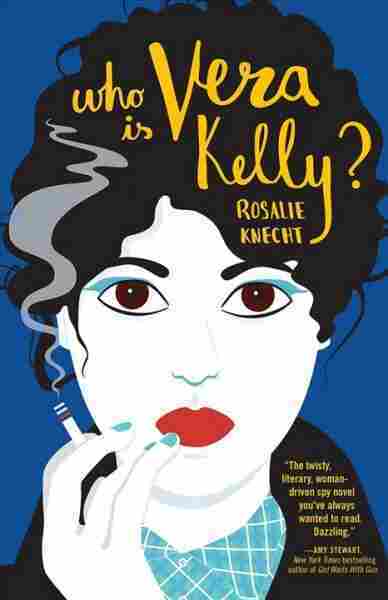 'Vera Kelly' Finds The Connections Between Deep Cover And The Closet The personal is most definitely political in Rosalie Knecht's crisp, lively and subversive novel about a queer woman who discovers her early life in the closet makes her well-suited for espionage. The personal is most definitely political in Rosalie Knecht's crisp, lively and subversive second novel, Who Is Vera Kelly? The author has sly, intelligent fun with the idea that the mindset necessary to live as a closeted queer woman transfers seamlessly to high-stakes espionage work; a spy and a not-yet-out lesbian are both undercover, in a sense — both are accustomed to subverting identity, using coded language, and seeking out covert action. In fact, the titular heroine goes under a pseudonym for half the novel. Having spent her early years in the tony precincts of Chevy Chase, Md., the confused and lonely Vera Kelly finds herself recruited by the CIA, which assigns her to infiltrate a Marxist student group in Buenos Aires. "Anne" makes for a believable asset, an alter ego technologically adept enough to wiretap politicians, yet enough of the young vulnerable Vera remains to be seduced by the lush Argentine atmosphere. Chapters alternate between Anne's sophisticated tradecraft in 1966 and Vera's inchoate post-adolescent yearnings ten years earlier. Tormented by an unrequited love for her friend Joanne, the teenage Vera swallows an overdose of tranquilizers and winds up getting her stomach pumped: "It felt like everything inside of me had been thoroughly blended with a milkshake machine and then poured out." She returns to her bland suburban home and her monstrous mother, still desolate over Joanne. But then, the butterfly emerges from the chrysalis: Vera comes out. After her miserable early years — "my loneliness now, in my junior year of high school, had an almost narcotic quality" — she finds herself by running away, winding up in that haven for misfits and strivers, New York City. She lives in a boarding house, takes temp jobs, and discovers the lesbian louche life of Greenwich Village, at a bar called The Bracken, with "a fog of smoke around half-lit chandeliers." The book smartly juxtaposes Vera's rocky coming of age with her espionage adventures. It could come off as contrived and heavy-handed, but Knecht makes it work. The contrast with Vera's sad closeted days renders her new life fresh and exciting. But her life as a spy has its thrills, too: Her case agent handler, Nico, has her hiding recording devices in devilishly difficult locales. She insinuates herself into a circle of swinging radicals, kicks off her shoes at one of their parties, drinks champagne, gets kissed by a drunken girl. Being compromised takes on a double meaning. "'Why did you — why did you think — ?' I couldn't come up with the things that a more innocent woman would say. I was surprised, but in the wrong way. Afraid that she had seen something in me." The book smartly juxtaposes Vera's rocky coming of age with her espionage adventures. It could come off as contrived and heavy-handed, but Knecht makes it work. High and flustered as she is at the party, Vera-as-Anne slips a bug into the back of a picture frame. Now she's all set to surveil her targets, including I-Kissed-a-Girl. As it happens in this type of work, the stakes get raised: A new dictator comes on the scene. Nico gives Vera a gun. A Russian bomb plot ticks away in the background. Vera stays cool, always, and it's hard to gauge which generates more exquisite tension, performing as an undercover agent or suffocating in the closet in the years before liberation. John le Carré and many other writers make hay with the personal repercussions of assuming false identity. Knecht flips the terms artfully, showing us a heroine who discovers her true tough self by going undercover. By the end of Who is Vera Kelly? the reader is rooting for Vera to claim her much deserved personal freedom as much as succeed as a spy.